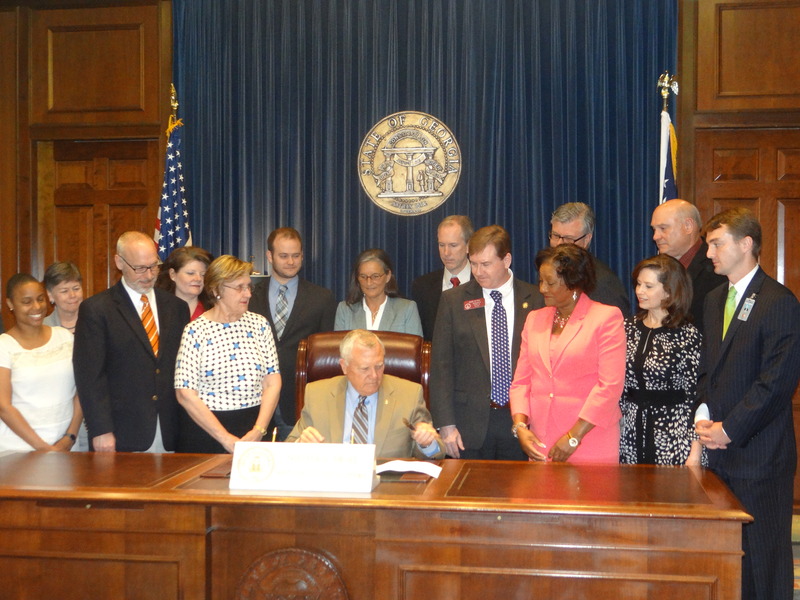 ATLANTA (May 5, 2015) – Governor Nathan Deal today signed House Bill 505, which provides Georgians with the choice to see a physical therapist without a prior physician consultation. According to Joe Donnelly PT, DHS, OCS and president of the Physical Therapy Association of Georgia (PTAG,) HB 505 brings Georgia in line with the majority of states and the U.S. Military by removing requirements for prior physician consultation or referral. Upon implementation on July 1, 2015, Georgians will be able to receive physical therapy treatment without a referral for a period of up to 21 days or 8 visits, whichever comes first. Studies show that early treatment by a physical therapist reduces healthcare utilization and ultimately lowers overall costs – including fewer physician visits, as well as decreased pharmacy and opioid use. Research also shows that early access to physical therapy treatment can reduce costs by up to 60 percent for many conditions. HB 505 will become law effective July 1, 2015. The Physical Therapy Association of Georgia (PTAG) is the membership organization for the profession of physical therapy in Georgia and a component of the American Physical Therapy Association. PTAG has approximately 2,100 members comprised of PT’s, PTA’s and students. The mission of PTAG is to represent, promote and serve the profession of physical therapy. For more information, please visit www.PTAGonline.org.